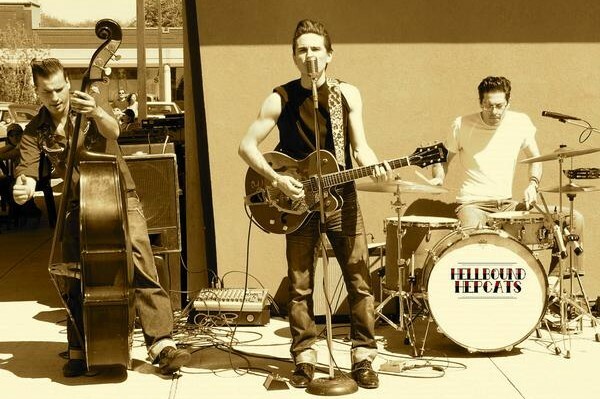 Combining rockabilly and very early rock 'n' roll, The Hellbound Hepcats have spent the past few years crafting music that one could expect to find in the dive bars of the 1950's, before rock 'n' roll was even a footnote in music history. 1) Please state your name and your duties in the band. 2) You recently released your second full length, No. 2 on Stomp Records.How did you approach the songwriting for the disc?Was there a common theme to the songwriting you were trying to achieve? I wrote all the music and lyrics for "The Hellbound Hepcats" and "No. 2". For both albums I was just playing with simple country and rockabilly riffs, trying to make them original, or at least give them some flavor of my own. The lyrics are mostly about life as a full-time musician: girls, drinking and good times. I didn't have a specific theme in mind when writing the second album, but I did have a certain energy that I wanted to give the album. The first album was recorded "off-the-floor" and I liked the raw energy that that gave the recordings. I wanted "No. 2" to have a similar feel, but I also wanted it so showcase some slower songs. 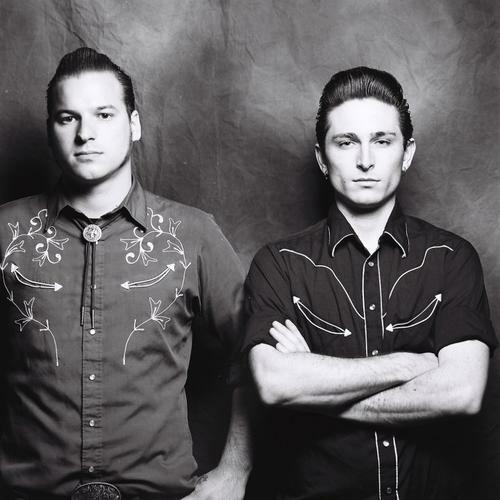 "Play with Fire" and "Getting Nowhere Fast" are both songs that I wouldn't have put on the first album, but felt confident putting on the second album, even though they are not typically "rockabilly" per se. 3) Many reviews have been comparing your music as a mixture of Elvis Presley and Johnny Cash.Were these musicians the major influences in crafting your style? If not, who was? Both these cats were huge influences on my singing. Each of them are so different, but they both sing from the gut and from the heart, and it's something you can still hear in their recordings. Love 'em! 4) To be compared to the most influential names in rock and country music, how does that make you feel? Completely honored. I always put on Elvis records and sang along with him, so the fact that I mimic Elvis phrasing and tone doesn't surprise me. However, I don't want to be put myself in the box of a "Elvis Impersonator" or anything. That's just cheezy. I hope I bring enough flavor of my own not to be put there. 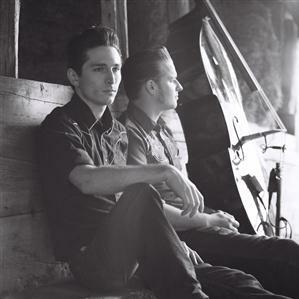 5) Your music has been called rockabilly. It’s been called country. It’s been called rock and roll.Which do you prefer? How would you explain it to someone unfamiliar with the band? I usually tell people it's 1950's rock n' roll. If they don't get that I usually mention someone they might recognize: Buddy Holly, Chuck Berry, Elvis Presley, Johnny Cash. 6) What is your favorite song on the album, and why? 7) What’s next for the band?Are there any tours in the works? Can we expect to see you touring the States more frequently now? We're on tour with friends and label-mates The Creepshow and The Fundamentals for a three-week cross-Canada shin-dig. We hope to be touring the States in summer 2013. We just got a new drummer, Sandro Sanchioni, and I really look forward to working with him in the Studio. I want the next album to be out in less than a year. The next album, I imagine, will be more aggressive and technical than the last two. I'm really looking forward to making it. 8) Are there any current bands or releases you are really into? Any recommendations for the readers? 9) If you had the opportunity to introduce someone new to your music and could only play one song, which would it be? Of my own songs I'd probably play "Only Man"
If I was just introducing someone to the genre I'd play them "Train Kept a Rollin'" by Johnny Burnette. 10) Any closing remarks the reader should be aware of? Stay tuned for a new video of our song "Underpants Dance" due to hit YouTube Dec 1.